Most of the time I head out on the patch just to see what's about and I'm quite content with whatever comes my way. However, I decided on a trip out with a few target species in mind. The list was on 82 and I fancied I could add 4 to it on a spin around the north end of the patch. 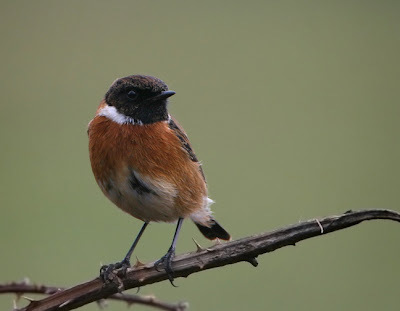 Red Rocks was the place for my first two targets, Stonechat and Reed Bunting. Off along the top path from West Kirby and within yards I'd spotted a cracking male just the other side of the fence on the golf course. I watched him for a while flitting from the floor to low grassy tussocks where he bobbed about. A female joins him and together they feed for a while. The sun is just warm enough to bring a few bugs out on the south facing dunes and these are quickly spotted and nabbed by the observant pair. I'm feeling good so I press on in search of my next target, Reed Bunting. I try not to get over confident after bagging the 'Chats so easily and this is a good move because the Buntings are hard work. Next site was the feeding station at the Country Park. 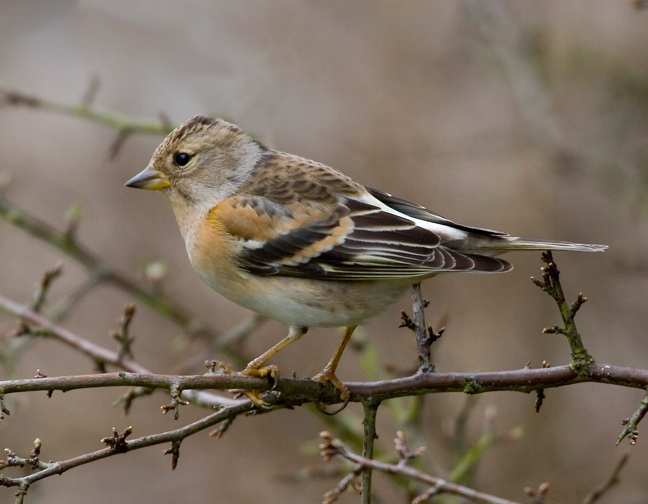 It's due a Brambling and I gonna give it a bit of time there. It's great watching all the usual suspects on the feeders. I've concentrated on the waders so much recently it's a real pleasure to see these passerines buzz along the string of feeders. The Stonechat and Reed Bunting were reasonable birds to expect, Brambling will take a bit of luck. 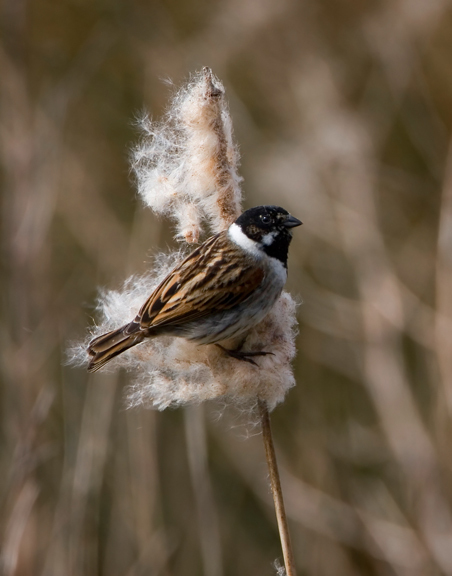 Gilroy and Inner Marsh have had some, so too gardens in Heswall and West Kirby so there are a decent number on the patch. Luck is in today, and a female mooches along the floor by a pine tree. I try to control myself but can't resist a mild celebration at this one. Soon she's spooked up into the trees and I run off a few frames with the camera. Sometimes when things go your way, they really go your way, and I'm about to get another slice of luck. I haven't seen a Peregrine yet, which is strange as I've spent so much time on the shore or on Hilbre you'd think one would have crossed my path. This is my final target for the day and means a trek down to the beach. The legs don't fancy it much, the kit is feeling heavy as I've been out for ages now. I'm spared the hike as a glorious Peregrine arcs over the car park. It's shining in the late afternoon sun. You can see the dark moustache on it's face and I can see it look around as it turns into the wind and slows up. As quick as it appeared it streaks off towards the estuary, and I decide not to push my luck any further and hop on the Super Deluxe for the cycle home. I know there will be frustrating days ahead where I miss the odd thing, but that makes days like this sweet.